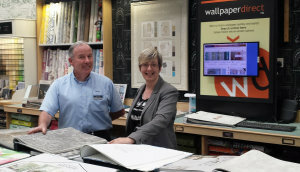 We stock a comprehensive range of designer and typical trade paints, extensive wallpaper collections and, of course, offer paint mixing in-store as well as online kiosks where you can browse products to order to store. We also offer protective coatings expertise, so you can get expert advice on specialist paints and applications, and tradespeople can book a site visit to help assess requirements. We can even arrange local delivery if you can’t get in to collect. Just ask our friendly team for help – whatever your painting and decorating challenge or level of expertise. 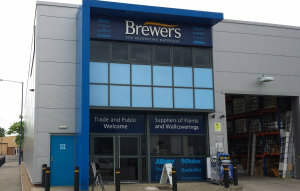 You’ll find Minworth Brewers Decorator Centre on the Minworth Trading Estate, off the A38 Kingsbury Road, a few miles from Birmingham and Sutton Coldfield. Look out for Toolstation and Climate Center at the entrance to Stockton Close, and turn in. There’s more than enough customer parking right outside, including dedicated disabled parking, and the store is wheelchair-accessible. Head South on Forge Lane, turn left onto Stockton Lane, follow this road and then turn right. The store is located on the right.